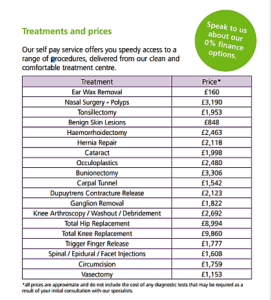 Care UK, a private business holding many NHS health and social care contracts, has sent hundreds of GPs a list of prices – from minor procedures to major elective surgery. They ‘suggest’ that NHS GPs could share this with their patients who ‘may want to avoid NHS waiting lists’. Care UK is owned by the private equity firm Bridgepoint and is one of the largest care providers in the UK, making inroads into the NHS and exploiting that position to promote their private interests. 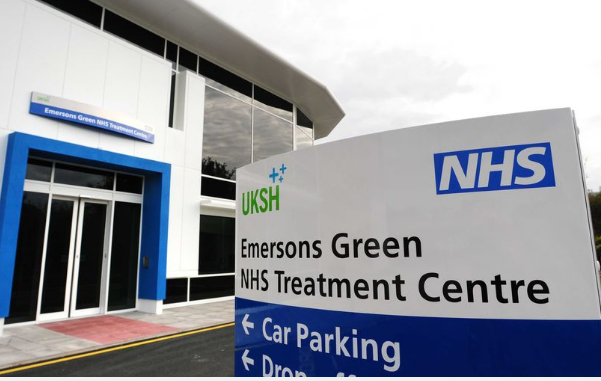 Treatments range from £160 for ear wax removal to £9860 for a total knee replacement and are being offered at Emersons Green treatment Centre in Bristol. A spokesman for Care UK reportedly said they are using extra capacity they have at the centre to offer the “self-pay operations”. Suggesting NHS patients pay for treatments available on the NHS and encouraging GPs to advertise on your behalf is truly shameless. Mike Campbell of Protect Our NHS (KONP’s local group in Bristol) was quoted in the Bristol Post as saying. “GP services have experienced almost a decade of under-investment with doctors buckling under the pressures of a huge increase in patient numbers but a shortage of doctors. It is totally wrong that hard-pressed GPs are now being encouraged to recommend their patients to a private company where patients will be paying when they should be getting their treatments free. What is so worrying is that this demonstrates how the deliberate underfunding of the NHS by the current Government leaves it open for private companies to take advantage of patients waiting for non-urgent surgery. This is exploitative and wrong. 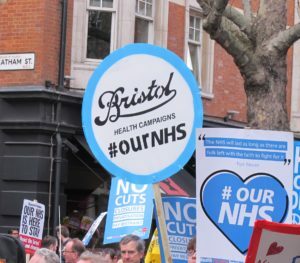 You can get involved with Mike and all the campaigners at Protect Our NHS Bristol by heading to their website. If you would like to support Keep Our NHS Public please find out how to support us here, or find your local group.